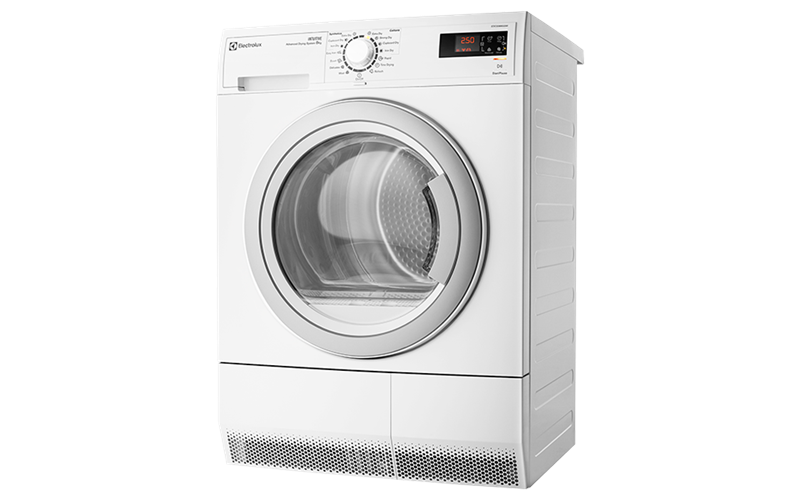 8kg Condenser Dryer is rated 3.3 out of 5 by 35. Rated 1 out of 5 by nickinya from Worse dryer ever I was talked into this useless dryer by a salesperson. How can it take over 1 1/4 hours to dry a summer sheet. Anything big just rolls into a ball to be untangled countless times. 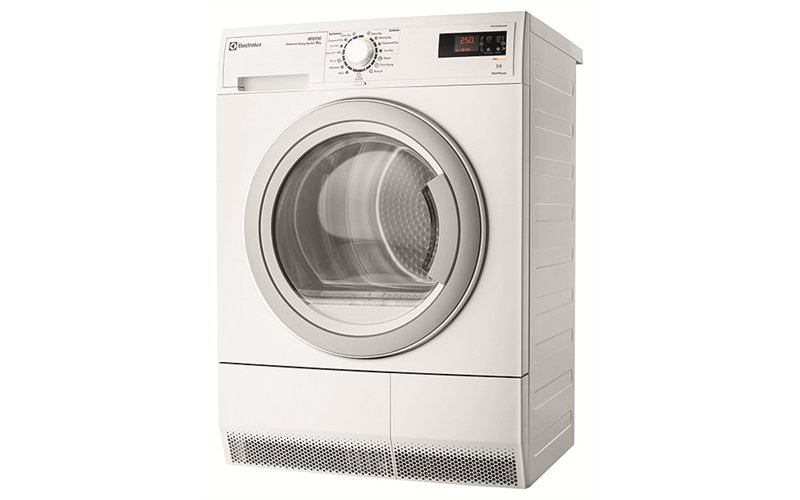 Rated 5 out of 5 by Ratbag from Best ever dryer Having upgraded to a this Electrolux condenser dryer a few months ago I have been impressed with the technology embodied in this appliance. Simply set and forget. The dryer determines the time and completed the task with the minimum of fuss. I appreciate the many choices of dryness and found the performance is just as indicated. This is the dryer an Audi owner would buy. Rated 1 out of 5 by Andrea76 from Great size. But slow to dry clothes. Takes longer to dry clothes than a traditional dryer. Not sure if I'd buy another one. Rated 4 out of 5 by Suzi from Works well Life changing having a dryer, and a good one at that. It is important to adjust the unit to match your water supply, e.g hard or soft water. Makes a HUGE difference. Rated 5 out of 5 by Raymund from This product works! At first, I hesitated buying this dryer because of a number of not so good reviews. Most of their complaints stem from not having the right sensor setting. Adjusting the sensor is so easy, as outlined in the user manual. Once that is done, it has been perfectly drying my washing every time. From cotton to wool and anything in between, no problem at all!!! Rated 1 out of 5 by BethS from Does not dry items Night this less than 2 months ago and have tried to persist with it but enough is enough. Over 2.5hrs on the top setting to dry 2 sets of single bed sheets.